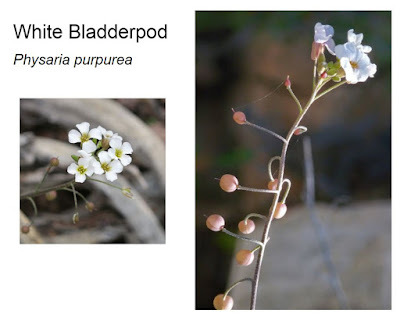 The two species here are also in the same genus (Physaria). That means they are even more closely related to each other than to the others in their mustard family (Brassicacea). Gordon's Bladderpod and White Bladderpod - like all our mustards - have foliage at the base (click the links to see photos that show the foliage); four-petaled flowers; and 'weird' fruits. 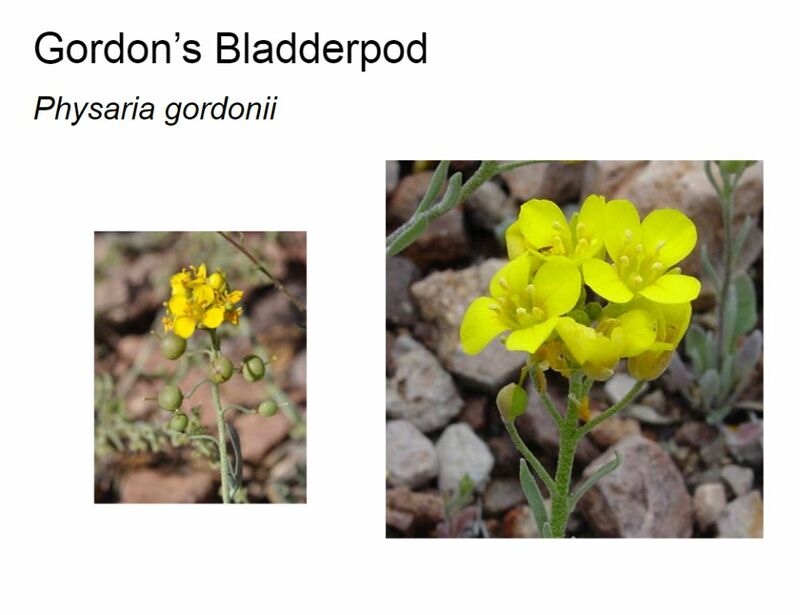 You can see why they are called bladderpods!